Retro vibes take over the Nike Blazer Mid 77 Lucid Green. Complete with a sleek aesthetic and a variety of premium materials, this iconic basketball inspired shoe will bring a classic look to your rotation. 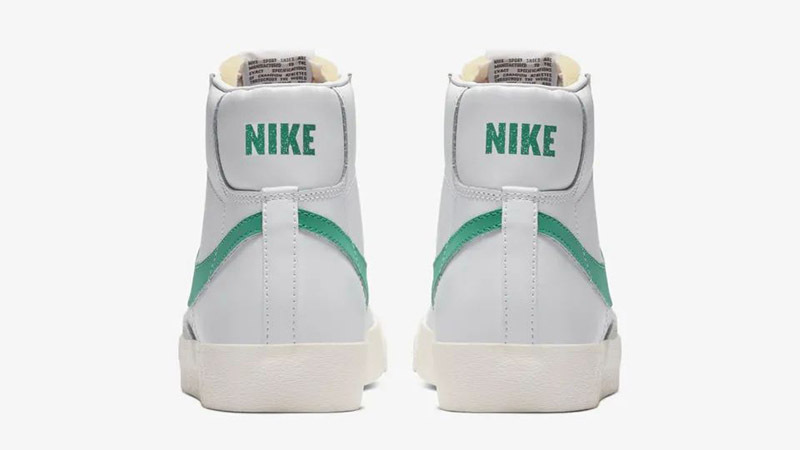 Featuring a super clean white leather base, an injection of colour is provided by a green Swoosh logo, which shoots down the lateral and medial sides for a touch of contrast. Matching detailing also features around the heel, while minimal grey suede accents adorn the mid foot and toe areas. 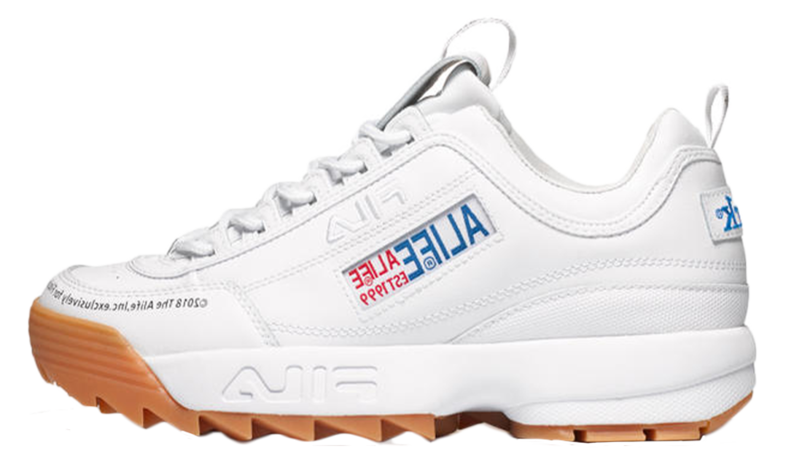 This high-top shoe will make for a perfect fit this winter, keeping your feet and ankles cosy in the chillier months. 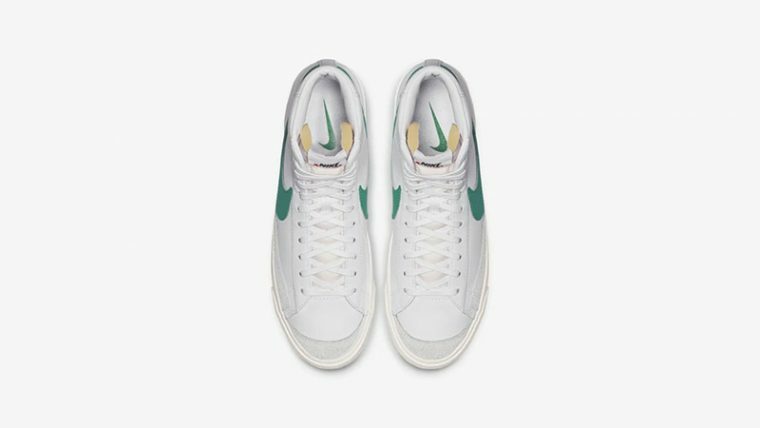 Pair them with vintage boyfriend jeans and a white tee for a cute and casual look. 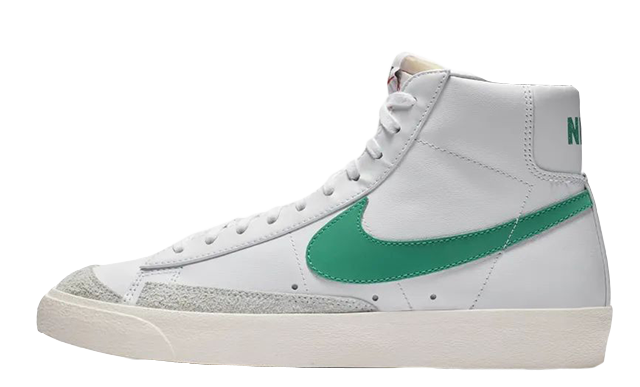 If you’re loving the Nike Blazer Mid 77 Lucid Green as much as we are, you can get your hands on a pair soon via the stockists listed on this page. For release reminders, be sure to click the bell icon above and stay tuned to our social media pages for more news and updates. 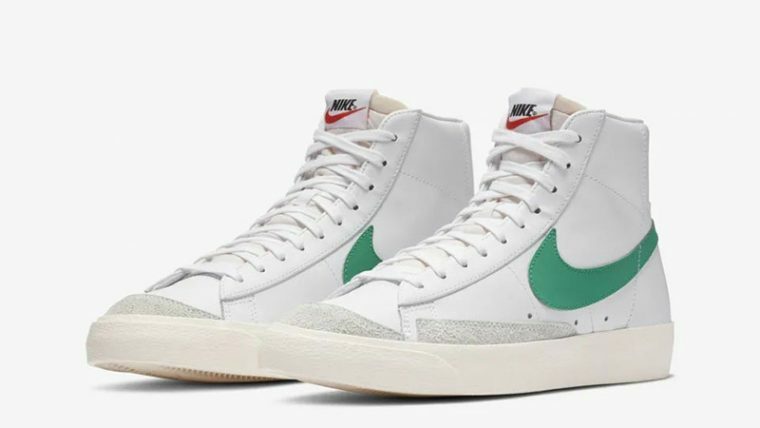 You can find more Women's Nike Trainers Release Dates here!